Rapid identification and appropriate isolation of cases is a key process in control of any infectious disease outbreak. Poor access to diagnostic tests in the early months of the West African Ebola Virus Disease outbreak likely contributed to widespread disease transmission, while improved access later on enabled more efficient use of available bed spaces and outbreak control. 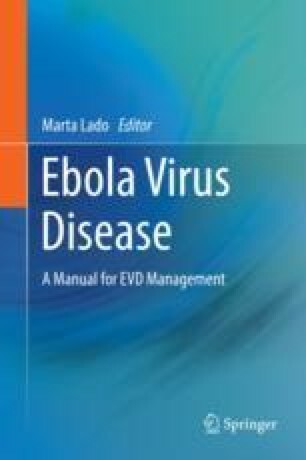 Identification of Ebola virus in clinical samples for diagnosis has traditionally taken place in a laboratory setting, requiring Level 4 Biosafety Procedures, using PCR, a relatively technology heavy modality. In West Africa, improvements involved adapting this technology for field use, and increasing the number and capacity of local laboratories. More recently, advances in technology to develop low tech point-of-care methodologies e.g. lateral flow technology have occurred. However, at the time of publication, these were not in routine field use. Here we summarise the key methods of EVD diagnosis, the practical challenges and report on new technologies that have the potential to impact on future clinical management.